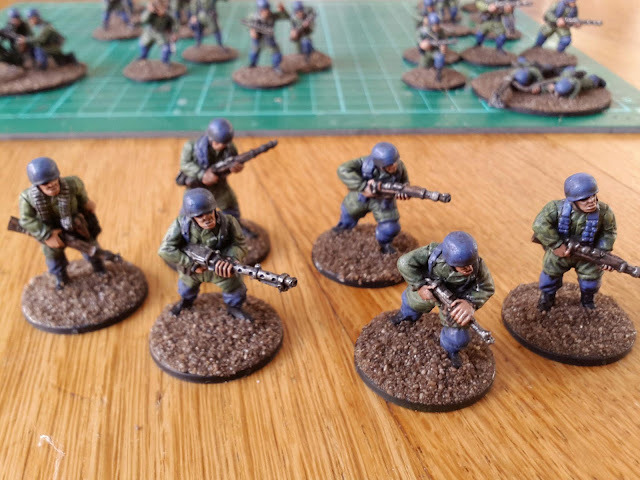 Although I planned to paint a lot more during my holiday, I did manage to finish the first batch of my early war fallschirmjager. I've fudged the machine guns a bit, because I own only two mg34's, so the rest are mg42's. 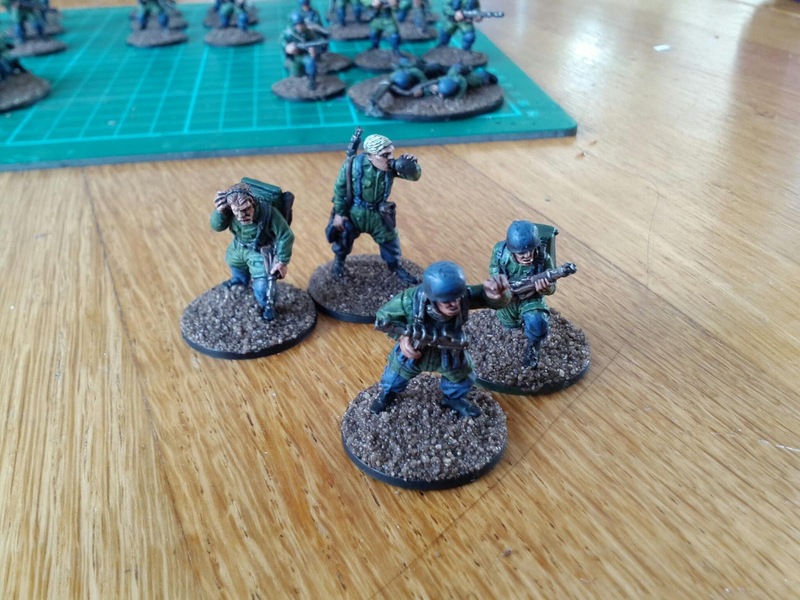 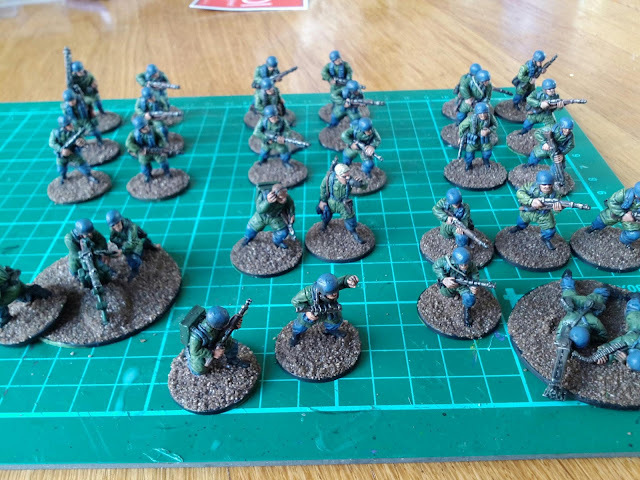 These fallschirmjager are to be used as enemies of my dutch reinforced platoon. Shown in the pictures are an officer, an air force liaison, a mmg and four squads of jager with an machine gun each. 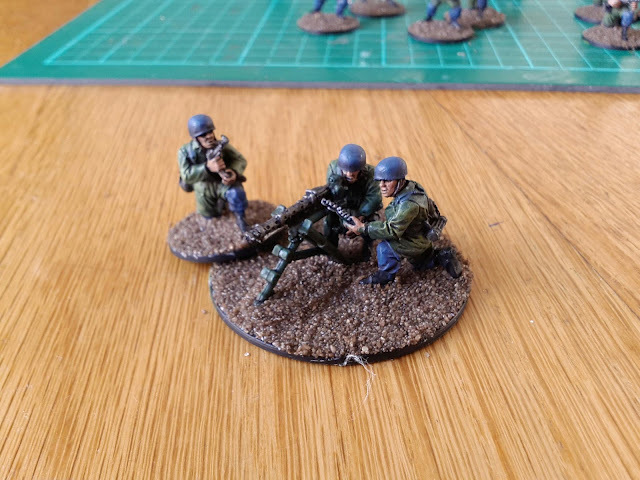 Some engineers, a light artillery piece and a 37mm at gun are still in the mail, who together with some early war regular army troops whom I will use as the German 22nd airlanding division, will round out my German force for Fall Gelb battles.